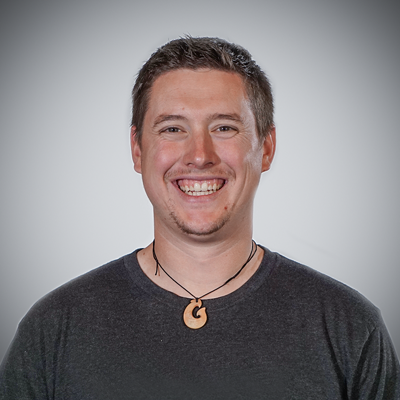 Most everyone within the digital marketing services industry understands that change is a relatively normal thing, whether it be technology, tactics, or consumer expectations/behavior. While this appears to be public knowledge among marketers, success still seems to elude organizations and their marketing campaigns due to, in part, their inability to adapt to change within our industry. Do any of these examples sound familiar? A local business reliant on television advertising slowly loses business and profitability due to their target audience moving from cable to streaming services. A company focused on products fails to listen to its customers who are asking for services that would enhance their overall user experience. Ultimately they leave for a competitor who provides both. A business development department that has continuously purchased industry lists for email blast campaigns is fined 10% of their company's overall revenue by the European Union under GDPR regulations. In all scenarios, opportunities for change had presented themselves in different forms yet they were not taken and organizational consequences were felt. While not all consequences are as dire as going out of business or losing a chunk of your customers or revenue to governmental fines, marketers do need to realize that their ultimate goal within their organizations is to drive growth because as Lou Holtz said, "in this world you're either growing or you're dying." So if marketers need to drive business growth and growth often times comes from change, it makes sense that we should understand the various elements of change so that we can ultimately adapt to and harness that change to drive success. A quick note: Revenue River was built on the idea that we will always be in a state of continuous change. As a leader within our organization, I've taken that as a call to action for us as an agency to be experts in managing change so that we can continuously be successful in our endeavors. Over the years, I've done quite a bit of research on the topic of change and have found no better resource than this guide from Jisc. Everything definition-wise listed in bullets below has come from this resource so don't get any grand ideas that I'm a leading expert in change based off the fancy words below! When it all gets boiled down, there are three types of change; developmental, transitional, and transformational. Understanding how you can classify the type of change that you're dealing with or considering can help you better prepare yourself and others for its management. Transformational – Is episodic in nature and requires a shift in assumptions made by the organization and its members. Transformation can result in an organization that differs significantly in terms of structure, processes, culture, and strategy. It may, therefore, result in the creation of an organization that operates in developmental mode – one that continuously learns, adapts, and improves. Change comes from actions, whether planned or unintentional. Understanding the intentionality of any specific type of change will help you understand the reasoning (if any) behind that change. Planned - deliberate change, a product of conscious reasoning and actions. Emergent - a change that unfolds in an apparently spontaneous and unplanned way. Emergent change can come from internal (company culture, etc.) or external factors (economy, competition, etc.). Change, in general, comes in different frequencies, whether in one-off acts or continuous reform. Understanding the frequency and overall approach to change that yourself or your organization is capable of will help you understand what types of change you're truly capable of implementing. Episodic - infrequent, discontinuous, and intentional acts of change. This often involved the replacement of one strategy or program with another. Also called 'radical' or 'second order' change. Continuous - ongoing, evolving, and cumulative change. This is characterized by people constantly adapting and editing ideas they acquire from different sources. Also called 'first order' or 'incremental' change. As you can see, change comes in different shapes, sizes, and frequencies. 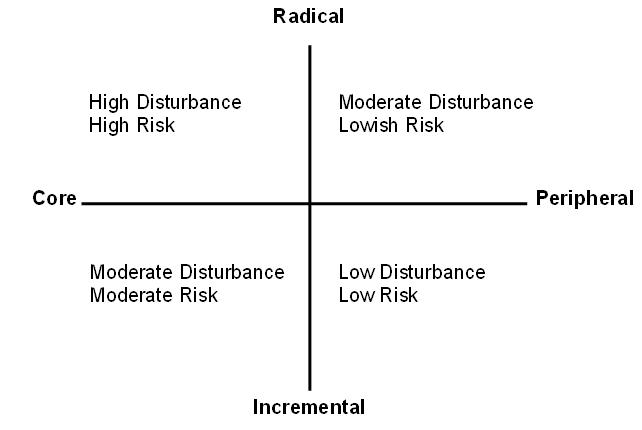 Once you understand the different elements of any proposed change, you can plot it on the below chart to help map out the level of risk and disturbance that come with alongside it. 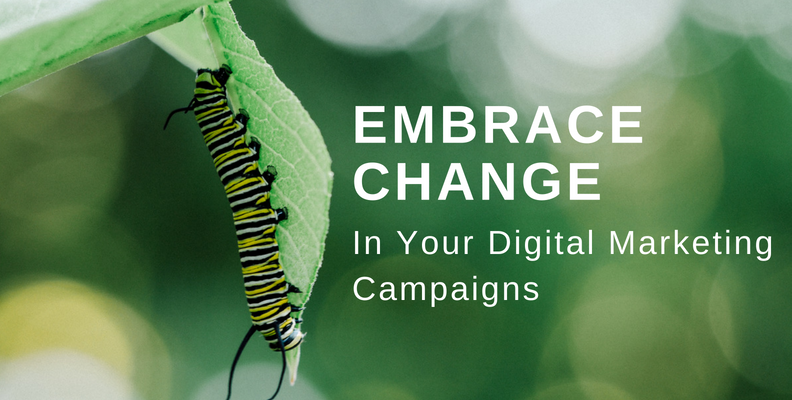 Now that you understand the various aspects of change, it should hopefully be easier for you to spot and plot out the various opportunities for change within your digital marketing campaigns. Still, knowing the definitions of the types of change and their frequencies does not exactly teach you how to adapt to those change elements. For that, you should consider your customers, your metrics, and your industry's technology and tactics. Marketing strategy and tactics should never be created in a vacuum. Whether you're planning to create a new marketing campaign strategy or just make tweaks to your existing one, you should be considering how your customers (whether current or potential) will react to it. To go a step further, you should actually be keeping a pulse on your customers through conversations, surveys, and other types of frequent communication to make sure that you still have an accurate view of who they are, what their needs and challenges are, and whether or not you are helping them as much as possible through your marketing or product/service in general. By maintaining this connection, you will be better suited to both spot opportunities for change through customer feedback as well as gauge interest or effectiveness in changes that you're considering. With as much data as we have available to us today, all digital marketing campaigns (and the changes within them) must be data-driven. By constantly tracking the KPIs that are most important to your campaign's success, you'll be able to better understand what tactics and technologies are and aren't working within your campaign. By doing this, you can then begin experiments that allow you to test change on a regular basis and ultimately drive bigger change projects more successfully. Marketing and change within it should be informed by a number of different things, including the direction of the industry that you're in. Marketing tactics within any industry are always going to be changing, partially due to consumer behavior but also due to new technology and capabilities. By staying connected to industry marketing forums and marketing technology publications, you'll be able to understand what kind of tactical and technological changes might drive the most success for your campaigns. As you can probably see by now, change (whether within an entire organization or just a digital marketing campaign) requires change agents - people who understand what it is, how it works, and how to successfully implement it. If you are looking to drive any sort of change with your organization's marketing but don't quite know how to do so, consider reaching out to Revenue River. We've helped countless clients drive incredible change within organizations' marketing, sales, and service departments and we would love the opportunity to understand your ideas for change.